Each culture and spiritual tradition has a term for life force or universal energy. In yoga tradition it is called Prana. It Chinese medicine it is called Chi or Qi. In Japanese tradition it is called Ki. Reiki is a Japanese form of energy healing for the mind-body-spirit. Reiki activates the life force, or ki, that moves through the body therefore when our energetic life force is flowing, our human life and work moves flows with more grace and ease. Since Reiki is energy, sessions can occur in-person or virtually from a distance. Intention Setting: For the first 10-minutes, you'll discuss what is present in your life and clarify your intention for the session. Meditation: Gwen will attune to any additional blocks of energy through a 5-minute meditation while you are laying down. 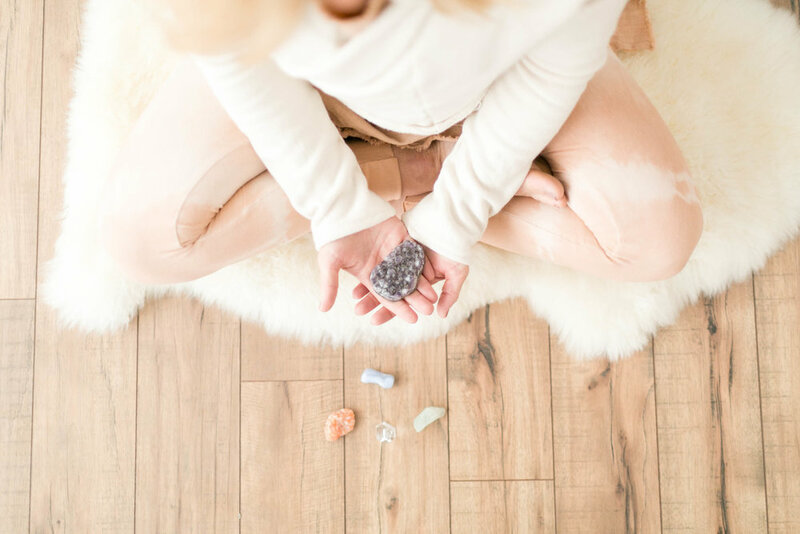 Healing: Gwen will use essential oils, crystals and Reiki to clear any blocks and allow the energy to flow through your body. After the session, Gwen will provide suggestions for you to implement after the session, and email support for a week. You may also join Gwen's private Facebook for Breathwork and Reiki clients to receive support and ask questions. Reiki is wonderful for relaxation, which improves the body's immune system and aids in better sleep. Reiki supports inner peace and harmony and a valuable tool in one's quest for spiritual growth. Reiki balances the mind and emotions to better cope with everyday stress, enhance learning, memory and mental clarity. Reiki can heal mental and emotional wounds, relieve dysfunction, alleviate mood swings, fear, frustration, grief and even anger. Reiki also strengthens and heals personal relationships because it aids in our compassion and capability to love. Reiki helps relieve pain from migraine, arthritis, sciatica, and symptoms of asthma, chronic fatigue, menopause and insomnia. Reiki speeds up recovery from surgery or long-term illness as well as reducing side-effects from pharmaceuticals.